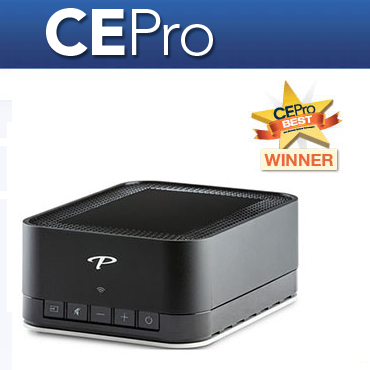 Paradigm® Blog | News & Updates: Paradigm Premium Wireless PW AMP Wins 2015 CE Pro Best Award! Paradigm Premium Wireless PW AMP Wins 2015 CE Pro Best Award! Paradigm is proud to announce that the Premium Wireless PW AMP won a 2015 CE Pro Best Award. This award is extremely important to our brand because it is voted by installers and industry leaders. The PW AMP won in the category of: A/V Preamplifier/Processor/Switcher/Amplifier/Receiver. "Power any passive speakers with Paradigm’s PW AMP with a 2x 200W amplifier and stream high-resolution audio (up to 24bit/192kHz), thanks to DTS Play-Fi® technology. PW AMP includes built-in Anthem Room Correction (ARC™) wiht a calibrated microphone to optimize speaker performance in any space. A difference you can actually hear!" Click here! to learn all about the Paradigm PW AMP. Click here! to see the full list of 2015 CE Pro Best winners.